· Treasury’s actions to place Fannie Mae and Freddie Mac into conservatorship were fundamentally different from Treasury and Federal Reserve interventions in support of commercial and investment banks during the financial crisis. Intervention in support of banks was done in response to sudden and uncontrollable liquidity crises that required immediate government assistance to keep the companies from failing, and involved actions and tools intended to achieve that result (not always successfully). The act of placing Fannie Mae and Freddie Mac into conservatorship was not a response to any imminent threat of failure but rather a policy decision initiated at a time of Treasury’s choosing, and involved actions and tools intended to make and keep the companies insolvent. 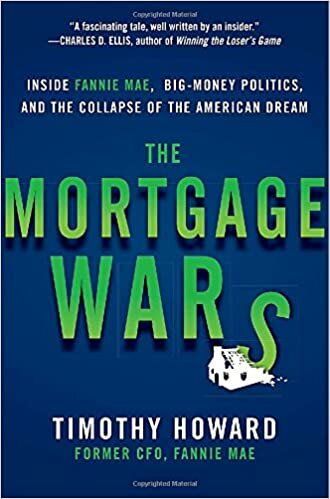 · Convincing evidence exists that the conservatorships of Fannie Mae and Freddie Mac were planned well in advance, and that they were intended to remove the companies permanently from private ownership. There also is clear prior history of OFHEO and its successor agency FHFA following the dictates of Treasury in its dealings with Fannie Mae and Freddie Mac. · The motive behind the third amendment to the Treasury-FHFA senior preferred stock agreement was made evident by its timing, coming as it did just ten days after Fannie Mae announced sufficient second quarter 2012 earnings not only to pay its $2.9 billion quarterly senior preferred stock dividend but also to add $2.5 billion to its capital. Coupled with strong and growing revenues, rising home prices in the first half of 2012 meant that the pessimistic assumptions that had driven earlier decisions to write down assets, add huge amounts to the loss reserve, and establish a valuation reserve for deferred taxes no longer were supportable. Treasury and FHFA entered into the third amendment to ensure that when many of these write-downs were reversed it would be the government, and not Fannie Mae’s shareholders, that would benefit. Following the passage of HERA, Treasury asked the Fed, the Controller of the Currency and a Wall Street firm, Morgan Stanley, to assess Fannie Mae’s and Freddie Mac’s financial health. The weaknesses Treasury said they found in the companies’ capital and financial statements were nearly identical to the ones contained in the “Fannie Mae Insolvency and its Consequences” paper circulated six months earlier. Treasury, however, lacked authority to put the two companies into conservatorship; only the new regulator, FHFA, could do that. And Treasury had kept neither the old OFHEO nor the new FHFA apprised of its nationalization intentions. Paulson was unaware that on August 22 FHFA had sent both Fannie Mae and Freddie Mac letters saying the companies were safe and sound and exceeded their regulatory capital requirements. Paulson told Lockhart that he had to change his agency’s posture on the two companies, and FHFA did exactly that. On September 4, FHFA sent each company an extremely harsh mid-year review letter, and two days later, Paulson, Lockhart and Fed chairman Bernanke met with the companies’ CEOs and directors to tell them they had no choice but to agree to conservatorship. The argument for bringing Fannie Mae and Freddie Mac out of conservatorship and using an amended version of them as the basis of the future mortgage finance system is extremely straightforward: their credit guaranty mechanism is low-cost, efficient and effective, and has a proven track record of success. There is no credible basis for the oft-repeated contention that they are a “failed business model.” Even after Fannie Mae and Freddie Mac made unwise decisions to lower their underwriting standards to try to compete with private-label securitization, their loans acquired between 2005 and 2008 still performed four times as well as loans from that period financed through private-label securities, and more than twice as well as loans made and retained by commercial banks during that time.